João Castelo was quick to perceive the exciting new possibilities presented by Socl, the unique social network from Microsoft Research that celebrates the creativity of its users. Once Castelo, of Golegã, Portugal, learned about Socl, he dived right in, actively commenting on other users’ posts and creating his own to appeal to those with whom he has interacted on the site. His interest piqued, though, he wanted more. The creators of Socl listened. 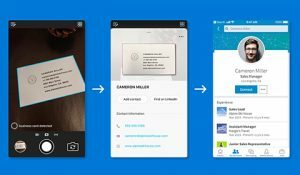 On June 18, FUSE Labs announced a new user interface including new “create experiences” to extend and enhance the features users have found so appealing. In Castelo, they found a grateful recipient. “I love them,” he enthused. “They add some things that the users asked for and wanted. That, says Lili Cheng, general manager of FUSE Labs, is no coincidence. Indeed, the engagement and sharing that Socl makes easy have lured an enthusiastic audience of super-engaged users who want to create things and find it fun to make something beautiful, something that looks complex and deep but doesn’t require a lot of expertise or time. Beginning June 18, here’s what users of Socl will be able to enjoy. 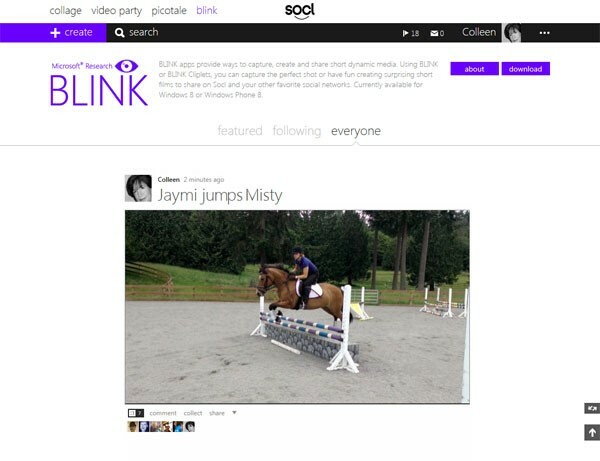 People love rich media on the web, and BLINK, a project from Microsoft Research Redmond that also is launching on June 18, has released a pair of apps that blur the borders between video and photography, for use with Windows 8 and Windows Phone 8 devices that feed into a new BLINK sharing experience on Socl. The BLINK experience on Socl. BLINK, an app for Windows Phone 8, debuted in early February, but it has been enhanced. The original app captured a brief burst of images right before you begin taking a photo and continuing slightly after, thereby maximizing the chance that you capture the precise action you were trying to obtain. Now, the updated BLINK can transform that series of images into a flipbook that transforms the series into a dynamic animation, perfect for capturing a key bit of motion and sharing it via the BLINK experience on Socl. You’ve probably seen short, animated GIFs online, but chances are you’ve never created one. With BLINK Cliplets, that might be about to change. With BLINK Cliplets for Windows 8 devices, you can overlay a dynamic, videolike animation atop a static background to create surprising results. It’s like a photograph, but with the object in the foreground in motion. The BLINK experience on Socl makes sharing your imaging creations easier than ever and enables you to deliver animated results of important or entertaining moments in your life to enable your family and friends to enjoy the experience right along with you. A meme is a digital creation that often circulates in the form of an image combined with a short bit of text that comments, poignantly or humorously, on the image with which it is combined. We’ve all seen them—think photos of kittens with an arch statement overlaid—and, done right, they have a tendency to go viral. The interface for Socl’s Picotale experience. The Picotale experience on Socl is a part meme-generator and part game in which the fun of creation is matched by the ease of doing so. And make no doubt about it, Picotale makes creating your own memes as easy as 1-2-3. First, you type a few words—a status update, if you will. Then, you click Go within Picotale, and the technology delivers an image to match your words. If you like the results, great—you’re off and sharing. And if you don’t, simply click Go again and again, until you find something that tickles your fancy—and, in all likelihood, that of others. That’s all you need do. Your cat will thank you—even your grumpy cat —and so will your current friends, as well as the ones you are about to make. Collage was one of the original Socl “create experiences.” It enables you to type a topic, paste a link, find web images or videos, and drag and drop them to create a stylish collage, created in an instant and ready to share with your online friends. 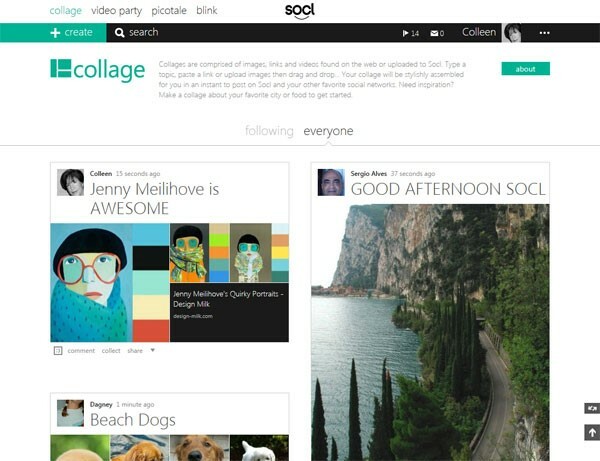 The Collage experience on Socl has been updated and enables users to upload their own images. Now, with the new user interface on Socl, you can upload personal images stored on your devices and mix and match with content harvested from the web. 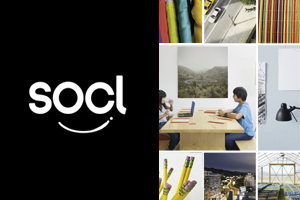 Socl is the only place on the web where people can mix elements from the web and from their personal files and create an attractive, compelling collage—in about 30 seconds. Video Party is a mechanism to curate shared video experiences on Socl. It makes it simple to create a video playlist that you can keep for yourself or share with others. Video playlists can be created using content from sites such as Bing, YouTube, and Vimeo. You can find videos that interest you and quickly assemble a collection that can be viewed, discussed, and shared with people you know and people you might like to meet. Such collections can be discussed in real time, if so desired. In addition to the new experiences enabled by the updated Socl site, adherents also enjoy the fact that the site is user-friendly—in the most literal sense. Not only does Socl serve as a social environment for making things by people who are fascinated by the creative process and eager to share their results, it also minimizes the sort of trolls and naysayers who can rob the web of its sense of excitement and comfort. That is made possible in a couple of ways. It all starts with community managers, from FUSE Labs, that monitor the feeds for the various “create experiences” and set the tone for the site. It seems to be a model that Socl users hold dear. 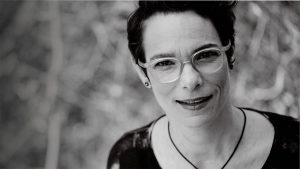 The community itself has become self-policing, with those who step over the line of collegiality being admonished by others users eager to retain Socl’s relaxed, upbeat, encouraging style of communication. In addition, Socl attracts an international audience of like-minded participants. It brings people together from around the world through posts largely visual—and that thereby able to transcend geopolitical and cultural boundaries. That appeal is enhanced by the use of Bing Translator to enable discussions between people who speak different languages. Machine translation, while getting more accurate every day, is not yet perfect, but through Socl channels, it often is good enough, and the ability to cater to people with similar interests via translation enables a foodie from Buenos Aires to discuss his or her passions with another from Brussels—another reason why users find Socl so inviting. Socl was launched in December 2011 as an experimental research project targeted at students as a tool for learning. Since then, it has evolved into a full-fledged online community based on the community’s creative aspirations to experiment with the future of social experiences. 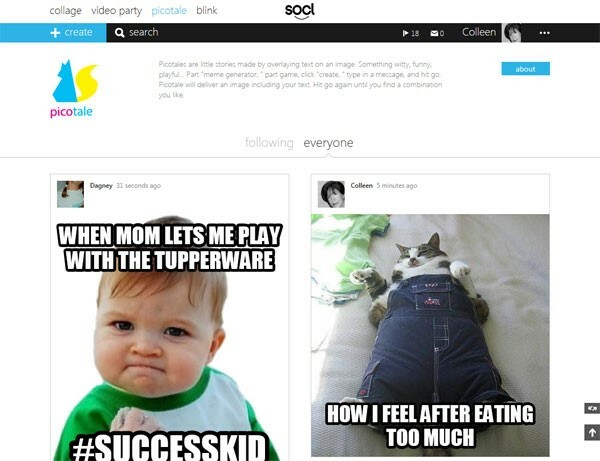 “When we started Socl,” Cheng recalls, “it was a very open-ended social network. We knew that the web and tablets were becoming more visual, but we weren’t sure what that would mean. We watched how people shared what they wanted to create, and now, we’re making it easier for them to tell their own stories. That does not mean, though, that Socl is intended to replace existing social-networking tools. Instead, it tries to act as a complementary platform. People, a recent study has shown, have begun to encounter fatigue with the experience of restricting their social-media participation to a single service. Instead, they now find it entirely normal to cross-post content on different services. People have learned to connect over shared interests expressed in various ways, and Socl has become an additional player in this social ecosystem, one differentiated by its unique offering of “create experiences” and easy sharing across platforms. That sharing capability has been built into Socl. The creations Socl enables can be shared via email or across other social platforms, such as Facebook, Twitter, Pinterest, or Tumblr—and the latest wave of “create experiences” is only the start. The plan is for a continued, organic evolution of the site, to continue to ensure that people can express themselves over shared interests through easy, beautiful posts—and to enable users to experiment and to reimagine the process of researching, learning, and sharing in their everyday lives. In that way, as Socl continues to evolve, it will offer new ways to express yourself and to connect with people worldwide.